WHITE PLAINS, N.Y., Sept. 12, 2013 (SEND2PRESS NEWSWIRE) -- Diabetes is an increasingly common medical condition afflicting millions of people across the United States, says Neuro Alert. This debilitating disorder causes excess glucose (a type of sugar) to build up in the blood. Patients with diabetes are more susceptible to infection and run a higher risk of developing certain disorders, such as cardiovascular disease, peripheral artery disease, kidney damage, nerve damage (neuropathy), osteoporosis, hearing problems and other medical disabilities. In fact, these risks can be heightened, if a patient has been suffering from diabetes for an extended period of time. Now, let's take a quick look at the statistical data provided by the American Diabetes Association. * 25.8 million children and adults in the United States (over 8.3% of the population) have diabetes. * Total costs of diagnosed diabetes - $245 billion. Let's face it: The statistics above are quite staggering. In addition, chronic complications caused by the disease may eventually increase the need for surgical intervention. It is important to know that diabetics may not only require a surgical procedure, but can also develop serious complications DURING surgery. Therefore, surgeons and anesthesiologists operating on diabetics, should familiarize themselves with all the potential risks associated with this disease and take all the necessary precautions to protect their patients. * Hyperglycemic hyperosmolar nonketotic coma (HHNKC) - a serious complication often occurring in those who are insulin dependent. HHNKC is usually caused by elevated blood glucose levels.. Assuming that surgery is inevitable, every diabetic patient should know that a thorough pre-operative assessment is crucial for their safety and well-being. Comprehensive pre-operative evaluation combined with effective post-operative management may dramatically improve clinical outcomes. Physicians should carefully review patient history, determine what the potential risks are, find ways to avoid complications and establish the safest method of administering anesthesia and conducting surgery. By taking all the necessary precautions, a patient will have the best chances for a successful operation. "All surgical patients, especially diabetics, should be aware that there are ways to avert potential risks to their nervous system and ensure a successful outcome," says Dr. T.V. Seshan, the founder and clinical director of Neuro Alert in White Plains, N.Y. - a healthcare organization providing intraoperative neuromonitoring services for surgeons and hospitals across the country. "Neuromonitoring is a critical technical procedure that involves the use of electrophysiological methods to monitor nerves, spinal cord and certain parts of the brain. A lot of diabetic patients might benefit significantly from intraoperative monitoring and avoid potential damages or disability during surgery." Neuromonitoring has emerged as a powerful tool to detect, treat or prevent accidental injuries during surgery. This sophisticated state-of-the-art tool saves lives and continues to gain popularity among surgeons of all specialties. Neuro Alert is a physician-owned and operated company providing intraoperative neurophysiological monitoring (IONM) services for surgeons, surgical groups and hospitals since 2006. The rapidly-growing Westchester NY-based organization was founded by Dr. T.V. Seshan - a renowned physician, specializing in physical medicine and rehabilitation, who has been actively involved in intraoperative monitoring over the course of 30 years. The simple yet crucial monitoring procedures, offered by Neuro Alert, are set up to detect any neurological deficits during major surgeries, allowing surgeons to gain instant feedback about their patient's condition and avert potential adverse affects. Neuro Alert consists of a team of experienced and highly-skilled physicians and technical professionals who work together to enhance treatment precision, reduce physician liability and ensure patient safety. For more information about Neuro Alert, please visit http://neuroalert.com/ or call (888) 787-6267. 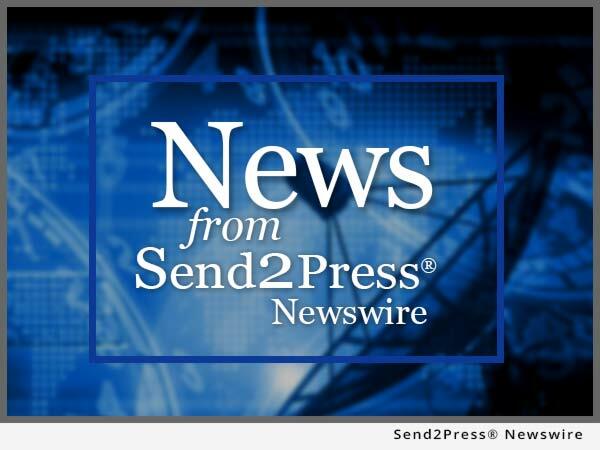 NEWS SOURCE: Neuro Alert :: This press release was issued on behalf of the news source (who is solely responsible for its accuracy) by Send2Press® Newswire, a service of Neotrope®.